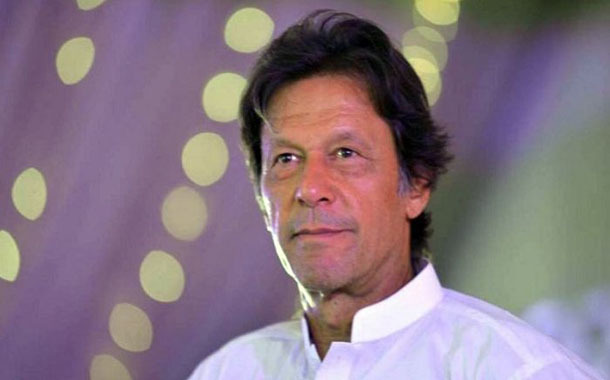 For the first time in the history of Pakistan, a non-dynastic political party, Pakistan Tehreek e Insaaf (PTI), has emerged as a single largest party to form federal government knocking out political big wigs, clergy and nationalists alike. It became possible due to the sheer resilience of the PTI leader Imran Khan and the will of the nation to bring about a drastic change in bringing a leadership of their choice into power. Unfortunately, all leaders in the past have not been able to either unify Pakistan as a cohesive force, nor bring it to the comity of civilized nations. Currently, the Pakistan, Khan has inherited, faces innumerable challenges which need to be addressed with immediate effect. Time is short and we have to prioritize our work and realize the “Should, Could and Must” of governance. However, Pakistan needs to highlight the “must” problems first to overcome these challenges well in time. Our state of economy and debt servicing has come to a stage where the dollar suddenly jumped from 110 to 129 rupees causing a great burden on the exchequer. Although, with China’s lending a billion or two dollars to Pakistan, the Rupee regained some of its value. The Rupee, however, is still in fluctuation due to economic instability. According to Bloomberg survey, the country’s economic growth may slow this year for the first time in six years, dropping to 5.2 percent. In circumstances like these, we need to control our expenses especially at the government level. In this regard, the new government of Pakistan may declare economic emergency in the country and seek help from “Aam Awaam”. In this regard, oversees Pakistanis can greatly help by sending more remittances to their families back home. According to Pakistan Council of Research in Water Resources (PCRWR) and other international reports, Pakistan is going to reach absolute water scarcity by 2025. The process has started already in form of drought and water shortage, both for portable and agricultural use, in many parts of the country. Global warming, over usage of ground water resources, domestic wastage and water pollution have already done a great damage. On the other hand, in the absence of water storage facilities like dams etc, we are doing ourselves a great disservice. The nation as a whole needs drastic measures to store and conserve existing water treasures or else be prepared to turn into desert homeland. FATA, Federally Administered Tribal Areas, once considered a no-man’s land, has now been merged into KP. But this merger should not be a mere lip service. The people living in these tribal areas should be given due respect with adequate funds and amenities of life as they are almost 70 years behind. They should be given an effective justice system so that speedy justice be provided at their door steps. FATA needs an exceptionally good team of administrators who should put it on the road like the rest of Pakistan. The judiciary of Pakistan is based on the colonial British system of penal code to which has been added the Sharia law that is the Islamic jurisprudence. The system itself is quite comprehensive but the slow pace of litigation is not according to the modern day requirements. It takes 10 to 15 years to decide simple cases such as inheritance which contributes to the pervasiveness of corruption and injustice in our society. Task of quick dispensation cannot happen unless the judiciary works with passion and total dedication. Although the PTI has set an example by bringing drastic improvements to KP Police. The condition of police department in other provinces is in a pathetic and lamentable state. Their selection system, training, equipment, up righteousness, living and working conditions, health and medical care are all in shambles. As if this was not enough, over the last few decades they have become totally politicized. On the other hand, urban and rural development, terrorism and crime has added new dimensions to “Policing”. A drastic change in all spheres of policing needs in-depth analysis, because the old Kotwali system has already failed. The establishment sector too has been equally dented. Our so called central superior services as well as provincial administrative cadre have shown a gradual decline, morally as well as professionally. Their system of examination, selection, and talent pool need a drastic review. Political favorites and the trend of lateral entries from Army, Navy, and Air Forces need to be curbed. The system of OSD (Officer on Special Duty) and suspension also needs to be changed. Their field performance as well as office needs to be reviewed. Moreover, their Annual Confidential Report (ACR) be taken seriously and grades should not be awarded as Bakhsheesh. Besides other important issues of the country, this is high time to remind Imran Khan, the new Prime Minister, of his promises on corruption eradication and introduction of a tax culture. His biggest achievement was to make an example of a sitting Prime Minister, Nawaz Shareef, and ensuring he goes to jail purely on the basis of corruption. The common man feels corruption in his daily life while interacting with the police, judiciary, the revenue department, the bureaucrats, at the educational institutions, and in matters of heritage and litigations. Suffice it to say, nothing moves without paying Bhattha. With the example of Nawaz Sharif as a starter, there is no reason why Imran Khan should not ensnare all the other big fishes into the net of anti-corruption. This will ensure vigilance at all levels. Because micro and mega level corruption has now been accepted as legal tender in Pakistan. This has wrecked the edifice of this country and needs to be addressed at all levels with a heavy hand. Stolen property and wealth too needs to be unearthed and confiscated unto the state and wealth stashed abroad be brought back to Pakistan. Population in Pakistan is not only increasing arithmetically but also geometrically. This geometric increase in our population is totally unchecked and if it keeps going on at this ratio we are going to multiply like mice. The consequences of this are known to almost all sensible Pakistanis. It is therefore in the interest of Pakistan and the world that we must check our population at the earliest. The Billion Tree Tsunami project of Imran Khan should not die a natural death. It should be extended to the deserts of Sindh, to the plains of Punjab, to the mountains of Baluchistan and Khyber Pakhtunkhwa. As matter of fact, our forests have been denuded of trees causing great soil erosion which unfortunately wasn’t realized by previous governments. Deforestation in Pakistan has caused a colossal damage. It is also one principle reason of floods in our country. The green house effects and drought is directly linked to the disappearance of forests. Pakistan’s 75 percent of population survives on agriculture. It has been agrarian society but that has been totally neglected. It is so heart-breaking and surprising to find that thousands of acre excellent agricultural soil, and orchid farms are being mercilessly turned into residential housing societies in all parts of the country. Such sacrilege needs to be checked forth with. And agriculture be promoted so that per acre yield increases and food self-sufficiency attained. The pollution of our river system with sewerage water and toxic industrial waste is drastically affecting our ecological system. The environmental organizations in Pakistan are only paying lip service to this tragedy. Water pollution is affecting not only the flora and fauna but also human beings and the texture of soil. This has become universal problem and needs special attention in Pakistan as we are totally dependent on river water. In Pakistan three systems of education are at play. We have the Madrassas, the government schools, and the private school system all of which impart a different kind of education and are producing three different classes in our society. It is the main reason of the increasing polarization in our society. It has turned the education system into a nightmare. The need of the hour is to bring all three systems under the same umbrella. One, for uniformity, secondly, to come up with scientific expectations of the world. Last but not least, to close down those pockets of extremism where they teach fanaticism. To all this we need to refine our teaching system. We are lagging behind so much in this area. Not only do we need road network to give easy market access to remotest corners of the farms but also an efficient railway system like India. We inherited such a fine railway network but most of it is disconnected now. It is heartbreaking to see that the rail that is going up to Malakand, Mari Indus and the west of Punjab has been discontinued and the line lifted. Another rail system which was connecting Quetta with Zohb and could have been extended over to the KP province, has been disconnected as the railway track has been uprooted. We should learn from the India that made its railway system into one of finest tourists’ attraction of the country. Not only does it affect us in every manner but we are alienated from one another. Smaller provinces feel deprived and they do not get their due respect from larger provinces. Inter-provincial coordination shall only be possible if provinces are broken up into smaller units which will be administratively viable to govern. Baluchistan is the largest of the four provinces in terms of land, but has historically been ignored and received the least amount of funds for its development. This anomaly should be addressed. Pakistan having gone in to a collaboration with China under CPEC, should consider itself an equal partner in trading and economic activities. It should not act as subservient or sleeping partner of china. This economic relationship between both friendly nations should be utilized in a manner so that we too can gain from it as an equal economic partner.